Starbucks You Are Here Portugal is another country mug from Europe. Not sure why, but country mugs come after city ones (see Lisbon and Porto). 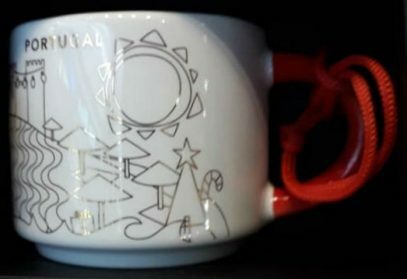 While other countries experience Christmas releases fever, Starbucks quietly added second Portugal YAH to the collection, namely, You Are Here Porto – a very nice mug, made using blue colors. Porto is the second-largest city in Portugal. It’s history dates back to around 300 BC. It was and remains a major port in this area. I was little bit disappointed about Starbucks not releasing any new YAH recently. I got used to new release every week or even more often. It has been two weeks since my last post and finally they took pity on us. 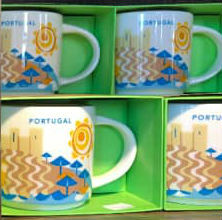 No less than the first Portugal YAH – please meet Lisboa You Are Here mug. 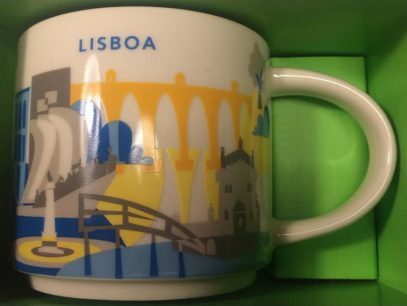 Again we see Starbucks used native version of the name of the city – Lisboa instead of Lisbon, something we’ve seen with Icons already. This Icon mug came from Portugal. Dark Green is used as its theme color. Carrack (no cross on sail) can be seen on the front of the mug and Palacio da Pena, Sintra on the back. 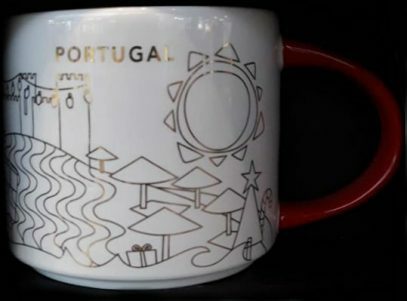 This Icon mug came from Portugal. Dark Green is used as its theme color. Carrack (cross on sail) can be seen on the front of the mug and Palacio da Pena, Sintra on the back. 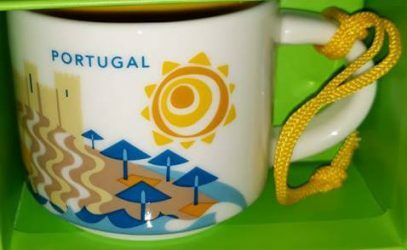 This Icon mug came from Lisboa, Portugal. Dark Blue is used as its theme color. 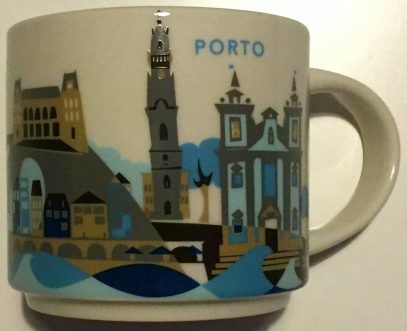 Torre de Belem can be seen on the front of the mug and Ponte 25 de Abril on the back.